Image of Corporal Chris Hooper with Legionnaire Oskar Trompakajski (left) and Legionnaire 1st Class Jung Jih (right). 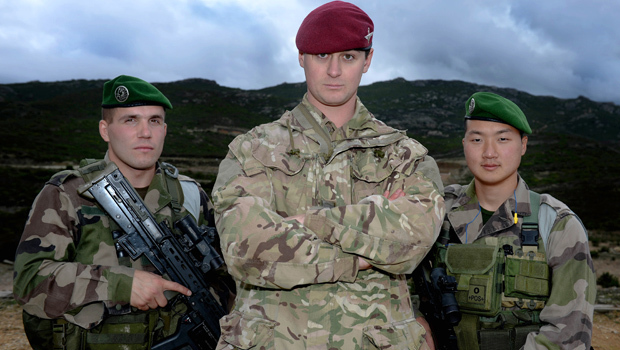 British paratroopers have been training with their counterparts from the French Foreign Legion as the two units build a closer working relationship. 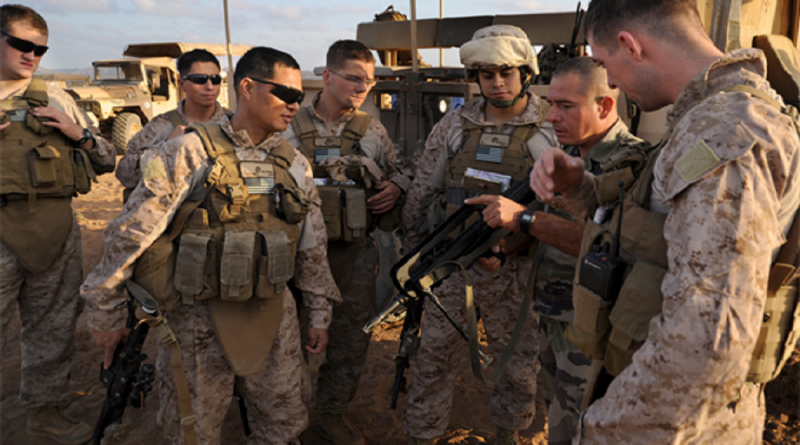 Meanwhile, Defense Secretary Ash Carter spoke by phone this Saturday morning with French Defense Minister Jean-Yves Le Drian to convey his condolences for those killed during Friday night’s terrorist attacks in Paris, Pentagon Press Secretary Peter Cook said.